Property 1: 54 Atlantic Reach, located on a family friendly site 8 miles out of Newquay. Quiet, unusual, getaway. beautifully equipped and comfortable. Property 6: Quiet, unusual, getaway. beautifully equipped and comfortable. Property 9: Sleeps 8, sea & beach views, 5 min walk from golden sandy beach. Dogs welcome. Peaceful Residential Location. Parking For 2 Cars. Sea Views. Walk To Beaches. Property 18: Peaceful Residential Location. Parking For 2 Cars. Sea Views. Walk To Beaches. Property 34: Detached House With Off Road Parking, Close To Beach. 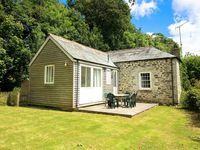 Property 37: Clays House - Central Cornwall, cosy family and dog friendly home. Located 60m from beach and situated opposite the sand dunes. Loved by families. Property 39: Located 60m from beach and situated opposite the sand dunes. Loved by families. Property 42: New house in Rock with traditional feel, tucked away down a private lane. Property 45: Perfect retreat for couples wanting to relax, or enjoying the outdoors life. 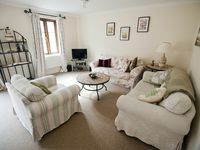 Self Catering Holiday House In Penzance, Cornwall. Ideal Location. Property 50: Self Catering Holiday House In Penzance, Cornwall. Ideal Location. Nice place to stay while visiting beautiful Cornwall! Landlord provided wine &amp; roses upon arrival. Very clean &amp; all is provided. Location is great...close to shopping, restaurants, train depot. Very secure. Only drawback there were noisy teens walking through mall at 11pm &amp; early hours 5am below our window. Security guard needs to be present during those hours.